To respond to the challenges of the energy transition and to build an efficient and coherent offering of electric mobility solutions, PSA Group has this month created a Business Unit (BU) dedicated to electric vehicles. PSA says the new BU will have a global scope and will leverage all factors necessary to deliver models that meet customer expectations, in line with the highest service standards. 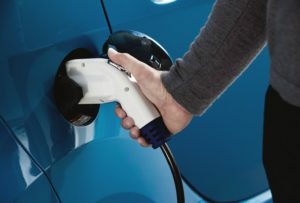 The BU will be responsible for defining and deploying the Group’s electric vehicle strategy and rolling out the related products and services. Alexandre Guignard, is appointed Senior Vice President of the BU, responsible for the profitable development of these operations, in all regions concerned, and will lead initiatives to help meet the Group’s CO2 targets, in compliance with the 2020 and subsequent European standards for CO2 emissions.